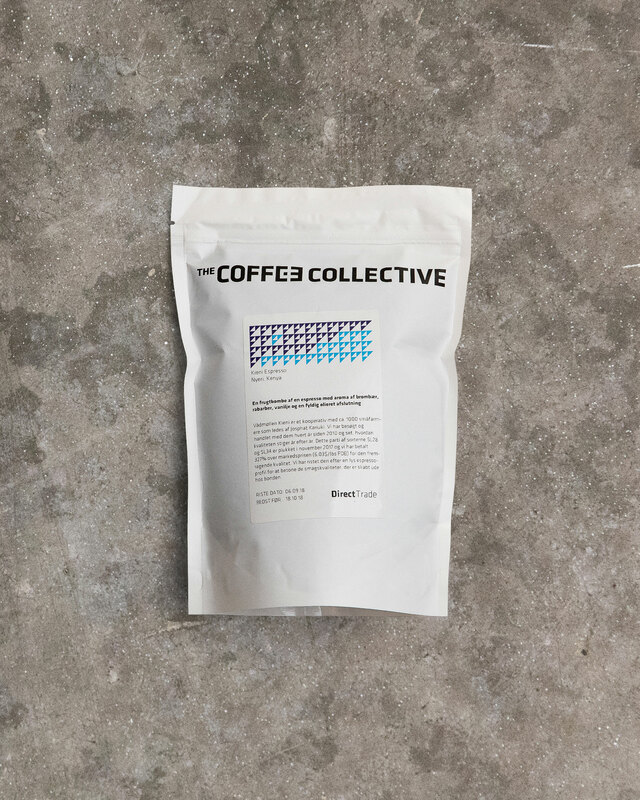 The Coffee Collective was founded in Copenhagen in 2007 and is owned by Peter N. Dupont, Casper E. Rasmussen and Klaus Thomsen. The dream that drives The Coffee Collective is to explore and unfold exceptional coffee experiences in a manner that gives better living conditions to coffee farmers across the globe. 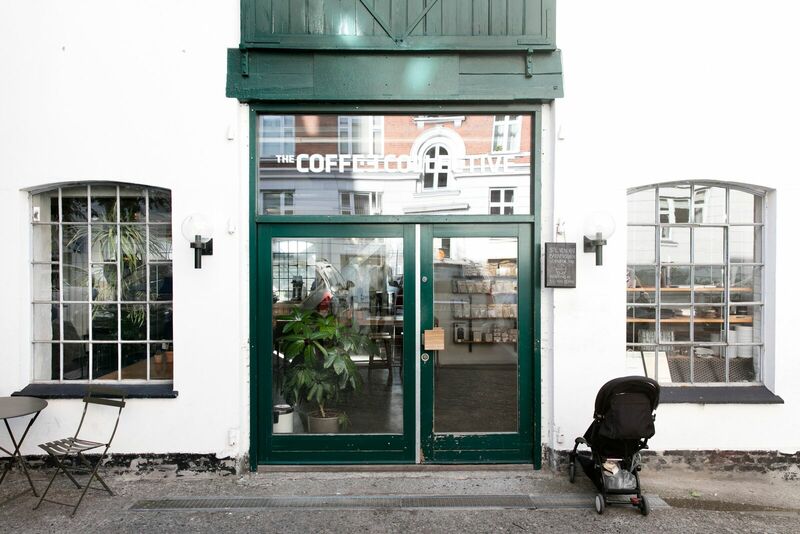 We’re excited to bring a piece of Denmark and the Coffee Collective experience to the home town of modern coffee culture. Having worked with La Marzocco for many years, we think this is a great opportunity to showcase our Scandinavian take on coffee. We’re excited to have you taste some coffee roasted on the other side of the globe where coffee is part of our culture. Below, you’ll find a bit more about each of these unique coffees, including brewing recipes and why each of these coffees is special. We have specifically chosen Kieni and Espresso 2 as we believe this combination is a perfect showcase of the diversity in our espresso line-up. The Kieni Espresso is super acidic, juicy and aromatic – miles away from any “classic Italian espresso” – and the Espresso 2 is very different. Enjoy! Tasting Notes: Intense sweetness and juicy acidity. Complex aroma of blackberry, rhubarb and vanilla. We’re thrilled to send you the latest harvest from Kieni. Kieni has been a long-term partner of ours in Kenya – we’ve actually been working together for 8 years in a row. Josphat Kariuki is the manager at Kieni and as always, has specifically asked us to extend his warmest thanks to you all. Kieni consists of around 1.000 smallholder farmers, who grow their own coffee trees, pick the cherries and deliver to the Kieni Wet-Mill, where it’s processed. When all the coffee is sold, and Kieni knows how much money they’ve received, the profit is divided between the members. How much each member is paid depends purely on how much coffee they each delivered. This year Kieni has sold all their coffee faster than ever and were able to pay their farmers better than ever before. The fast payment is almost just as important as getting a high price, because many of the farmers depend mainly on this yearly income. Higher payment also means that there’s more money to invest in next year’s harvest, securing fertilizer and paying for improvements on the farm. As we’ve been working with Kieni for such a long time, it’s very reassuring to see that the quality of the coffee also increases year by year, as the farmers have gotten better payments. A true win-win situation. This coffee is served in our cafes to showcase the diversity in coffee. It’s actually the favourite espresso of NOMA test kitchen head chef @torstenvildgaard. We find that a thorough finger distribution works best for extracting sweetness in our espressos. Tasting Notes: Sweet and balanced espresso with a creamy body and aftertaste of tropical fruits, nougat and chocolate. With Espresso 2 our goal is to explore what we can do with balance, sweetness and body in espresso. Espresso 2 is clean, sweet, very low on acidity but also low on bitterness. The two coffees in this blend come from farms that our company has bought coffee from for a number of years: Daterra (11 Years) and Finca Vista Hermosa (11 Years). We started buying Daterra directly at the very beginning despite only having a roaster in a small shed. We thought it was the right way to prioritize, despite us being a small start-up. We’re proud to still be working with them and think both of these two coffees are ideal for this sweet, creamy, chocolatey blend with a praline finish. 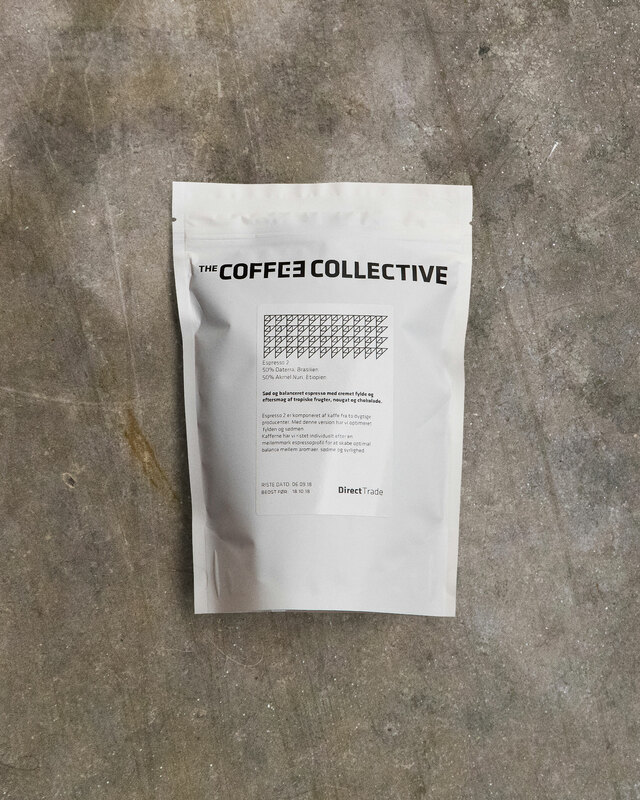 This coffee is our primary blend used by our Copenhagen coffee shops. When people ask for a coffee with milk we commonly pair this blend with those drinks. It’s also the espresso that’s enjoyed most commonly by home brewers like yourself. Enjoy! Most home users do not have the option or ability to pull 7 bar shots, or anything but 9 bar for that matter, and since this is a “home subscription” I think it would be most beneficial to give recipes for pulling at 9 bar, or even both. I’m planning on signing up but if i can’t use the recipes you give, that might prevent me from signing up. Thanks! Hey Dan! Thanks for the feedback. We ask the roasters to share specs for however they prefer to pull the shots. We understand that some espresso machine owners don’t have the option to change pressure—as a rule of thumb, you can pull the shots using pretty much the same specs at 9-bars. Because of the flow rate difference between 6 and 9 bars, the specs actually work out to be fairly similar.